long before globalization was coined as term and multidimensional phenomenon, about half a millennium ago, people were beginning to live in a global village where everybody knew… Shakespeare. When the Bard of Avon was only 7 the world was already shrinking. Not just because trade was bringing the continents closer every day, but also due to the cultural exchanges that were multiplying between Europe, the Americas and even Asia. English was taking its first steps towards getting the lingua franca status it has today. So the word got out and Great Will gained wide notoriety on all populated continents: moreover, starting in his own lifetime, Hamlet began to speak French and a number of other European vernaculars. Somebody was really shaking the spear globally! Samuel Huntington, the famous political scientist, gives us the identity of Somebody in the above sentence and equates globalization with the Western world shaking the spear towards non-western civilizations. Ever since the 1500s! According to Huntington, the Western expansion is now reaching an end. A revolt against the West has begun for some time now, and the ever-growing number of conflicts in the world today bears grim evidence to it. Moreover, there is a huge renewal of interest for cultural and civilizational identities going on. We live in a world gone globalized economically, but fragmented culturally. 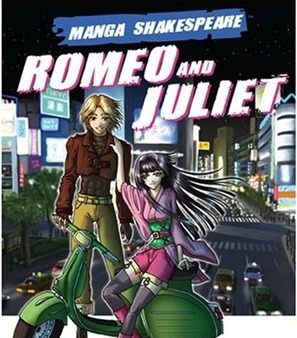 And Shakespeare himself went Manga in the process! In Manga Shakespeare, geopolitical teories read an annulment of distinction between high culture and consumer culture, a contest of authority and the tendency to resist the established values of high culture. The king is dead, long live… Shrekspeare! ?